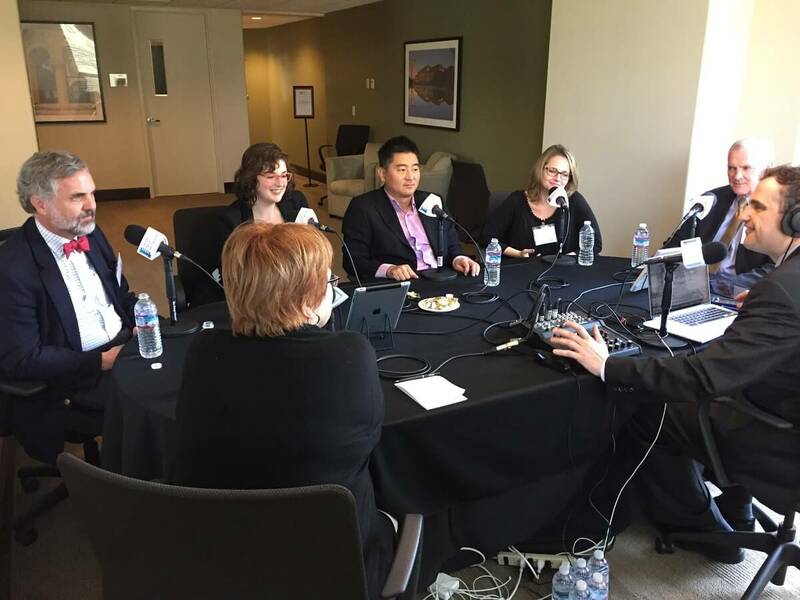 Legal Talk Network producer Laurence Colletti interviews Monica Bay, Professor Oliver Goodenough, Margaret Hagan, John Suh, Lucy Bassli, and James Sandman, panelists on ‘Innovations within the Legal Sphere’ at the 2015 ABA National Summit on Innovation in Legal Services. Together, they analyze the extent to which the legal system is not working for low income and middle class people, what happens when a large percent of the population feels disenfranchised by the legal system (like the Baltimore protests), and why the ABA needs to demand fundamental changes in the legal system to stay relevant. Are there technology and system changes that lawyers, designers, and technologists can implement so that our vast, underrepresented population can fairly approach their legal situations? Monica Bay is a former Legal Talk Network host and a Fellow at CodeX: The Stanford Center for Legal Informatics and is currently retired from her position as editor-in-chief of ALM’s Law Technology News, where she worked for 30 years. Oliver Goodenough is faculty associate at The Berkman Center for Internet and Society at Harvard University and professor at the Vermont Law School. He conducts research and writes about the impact of technology on law. Margaret Hagan is a fellow at Stanford Law School’s Center on the Legal Profession and a lecturer at Stanford’s Design School. She is looking at ways to improve the interfaces that make legal services accessible. John Suh is the current CEO of LegalZoom and has been an internet entrepreneur for 20 years. Lucy Bassli is assistant general counsel at Microsoft. She spends half her time negotiating contracts and the other half managing a robust contracting process on behalf of the legal department. James Sandman is president of the Legal Services Corporation, the single largest U.S. funder of civil legal aid programs for low-income people. They fund 134 independent legal aid programs with almost 800 legal aid offices serving every county, state, and territory. The panelists discuss the problem of low income and middle class access to affordable legal services.